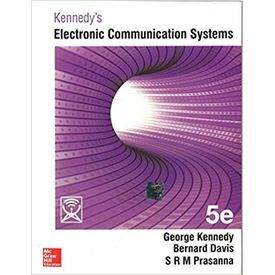 Kennedy's Electronic Communication Systems is a comprehensive guidebook that covers electronic communication systems in detail and strives to provide the readers with a good foundation on the subject. Communication systems refer to the sending and receiving of electrical impulses over a particular distance by radio, telephone, television, cable, telegraph etc. The whole process of communication involves a few essential fundamentals- transmitter, receiver, noise variable and a channel through which the information is transmitted. Kennedy's Electronic Communication Systems aims to simplify the concepts of this subject and present it in a digestible form. 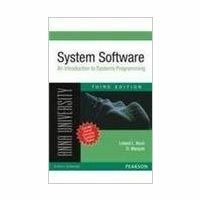 The book explains concepts in a theoretical and illustrative manner. 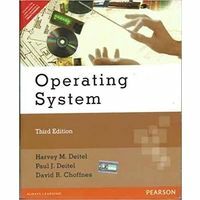 In the fifth edition of this book, the form and tone of the book have been retained but various technological updates have been incorporated in order to keep the students abreast of the latest trends regarding communication systems. A great deal of emphasis has also been placed on the discussions on Digital Communications. The text has been compiled as 18 different chapters. 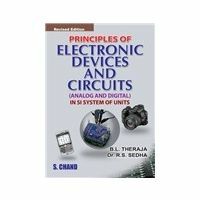 The various topics covered in these chapters are Amplitude, Angle, Pulse and Digital Modulation techniques, Television Broadcasting, Transmission Lines, Radiation and Propagation of Waves, Antennas, Microwave Tubes and Circuits etc. The book also focuses on Resonators and Components, Broadband Communication Systems etc. 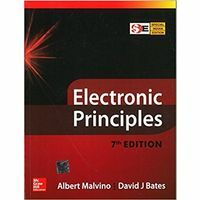 Written by Bernard Davis, George Kennedy and S. R. M. Prasanna, the fifth edition of Kennedy's Electronic Communication Systems was published by Tata McGraw-Hill Publishing Company in 2012 and is available in paperback. 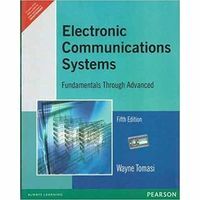 Kennedy's Electronic Communication Systems is a comprehensive guidebook that covers electronic communication systems in detail and strives to provide the readers with a good foundation on the subject. Communication systems refer to the sending and receiving of electrical impulses over a particular distance by radio, telephone, television, cable, telegraph etc. The whole process of communication involves a few essential fundamentals- transmitter, receiver, noise variable and a channel through which the information is transmitted. Kennedy's Electronic Communication Systems aims to simplify the concepts of this subject and present it in a digestible form. The book explains concepts in a theoretical and illustrative manner. In the fifth edition of this book, the form and tone of the book have been retained but various technological updates have been incorporated in order to keep the students abreast of the latest trends regarding communication systems. A great deal of emphasis has also been placed on the discussions on Digital Communications. The text has been compiled as 18 different chapters. 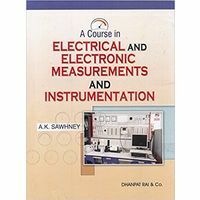 The various topics covered in these chapters are Amplitude, Angle, Pulse and Digital Modulation techniques, Television Broadcasting, Transmission Lines, Radiation and Propagation of Waves, Antennas, Microwave Tubes and Circuits etc. 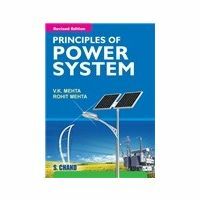 The book also focuses on Resonators and Components, Broadband Communication Systems etc. 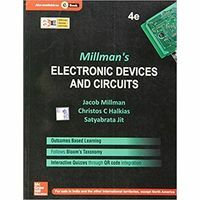 Written by Bernard Davis, George Kennedy and S. R. M. Prasanna, the fifth edition of Kennedy's Electronic Communication Systems was published by Tata McGraw-Hill Publishing Company in 2012 and is available in paperback.